In its 150-year history, Valparaiso University has passed through three distinct phases. Founded by Methodists in 1859 as an institution pioneering coeducation, the Valparaiso Male and Female College was forced by the reverses of the Civil War to close its doors in 1871. It was revived in 1873 by an enterprising educator, Henry Baker Brown, as the Northern Indiana Normal School, renamed Valparaiso College in 1900, and rechartered in 1906 as Valparaiso University. During the next 20 years, it established business and law schools and won national recognition as a low-cost, no frills institution of higher learning; many alumni of this period achieved distinction in their fields as governors, legislators, scientists, business leaders, and other professionals. Despite its decades of success, the University again experienced financial hardship as the United States entered World War I. The Lutheran University Association, a group of clergy and church laity who saw a bright future for the University, purchased it in 1925, ushering in the modern era of Valpo’s history. Distinguished by its Lutheran heritage of scholarship, freedom, and faith, Valparaiso University continues to fulfill the dreams of these modern founders. During this period, Valpo has established itself as a premier Midwestern university that combines a thorough grounding in the liberal arts with solid professional training. In the 1940s, the University, spurred by student action, established a school of engineering and adopted a student-administered honor system. The Christ College honors program and a school of nursing further enriched the University’s offerings. In 1956, Valpo’s chapel-auditorium was destroyed by fire. 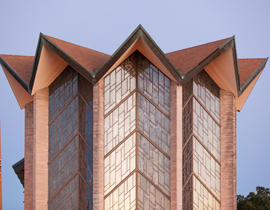 In 1959, it was replaced by the majestic Chapel of the Resurrection, a fitting symbol of the University’s commitment to its Lutheran ideals—and of the thriving community’s renewed growth. 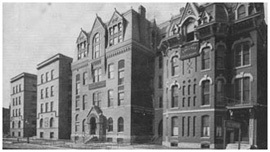 Valparaiso Male and Female College is founded as one of the nation's first coeducational colleges. Valparaiso Male and Female College closes as result of losses suffered during the U.S. Civil War. 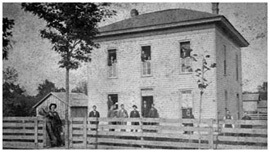 Henry Baker Brown reopens the school as Northern Indiana Normal School and Business Institute. 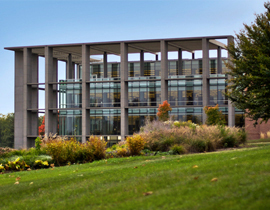 The Valparaiso University School of Law is founded as the Northern Indiana Law School. 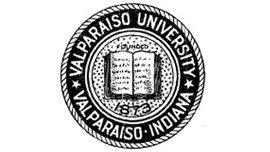 Northern Indiana Normal School is renamed Valparaiso College. Valparaiso College is renamed Valparaiso University. Valpo participates in intercollegiate sports for the first time. After decades of success, Valparaiso University again experiences financial hardship as the United States enters into WWI. The University is purchased by the Lutheran University Association. A student-initiated, student-enforced Honor Code is created. Engineering students strike a deal with the University, offering to build an engineering facility if a four-year program, reduced during wartime, is reinstated. The Chapel of the Resurrection is dedicated. Christ College, the third oldest honors college in the United States, is founded. Valpo inaugurates its first two international study centers in Cambridge, England, and Reutlingen, Germany. LeBien Hall is dedicated as home for the College of Nursing, which graduates its first class. Valpo moves its athletics program to the NCAA’s Division I. The Center for the Arts is dedicated as the home for the visual and performing arts. The Christopher Center for Library and Information Resources is dedicated. Mark Heckler is inaugurated as Valparaiso University's 18th president. The Harre Student Union is completed. Donald V. Fites Engineering Innovation Center is completed. 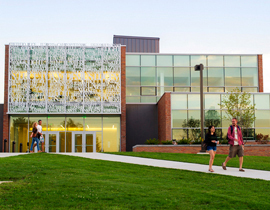 The College of Arts and Sciences building welcomes classes in the fall. The James S. Markiewicz Solar Energy Research Facility, designed and constructed by more than 50 Valpo students and alumni, is dedicated. The 15,000-square-foot Phyllis and Richard Duesenberg Welcome Center is dedicated, designed to create a front door for the University and support the needs of prospective students, alumni, and all guests visiting campus. Beacon Hall, a suite-style residence hall, opens for sophomore students. Construction begins on townhouse-style sorority housing units. 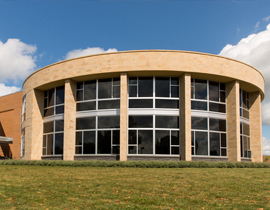 The Kathleen and Mark Helge Center, located adjacent to the Chapel of the Resurrection, is dedicated during Homecoming Weekend. The University breaks ground on a science laboratory building. Forever Valpo: The Campaign for Our Future, a $250 million endowment campaign, is publicly launched during Homecoming Weekend. Sorority chapters move into the newly opened Sorority Housing Complex. The Center for the Sciences: Chemistry and Biochemistry and the Innovation Hub at McMillan Hall are dedicated during Homecoming Weekend. The University celebrates 100 years of sororities and 50 years of Christ College — The Honors College.